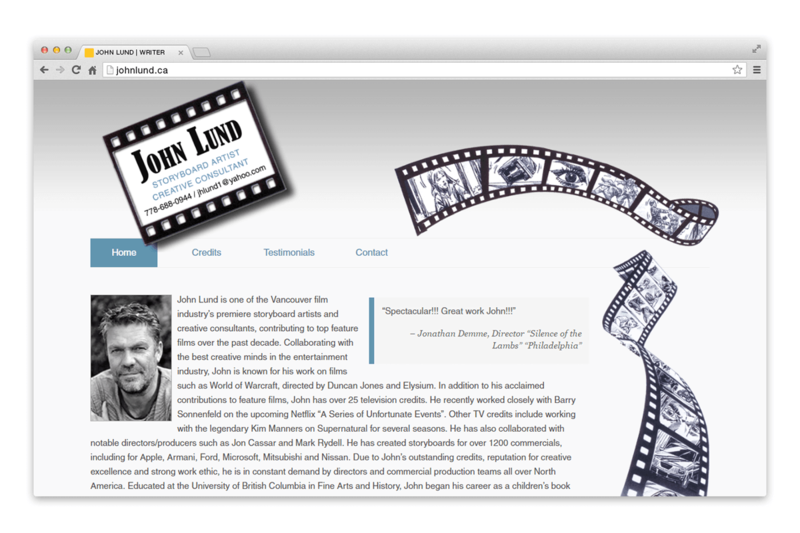 John Lund - Storyboard Artist | NetClimber Web Design Inc.
John Lund is a well known storyboard artist and creative consultant within Vancouver’s film industry. John came to NetClimber Web Design for a website to build a web presence, but also reflect John’s creativity as a storyboard artist. 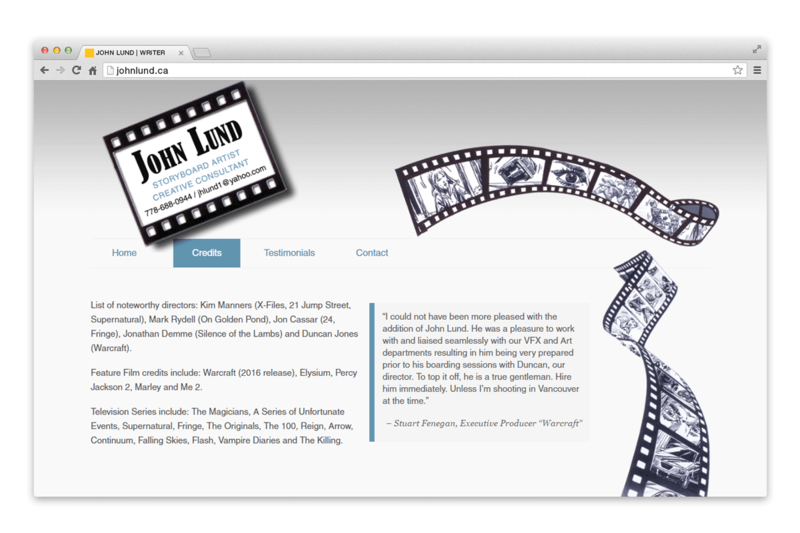 NetClimber built a WordPress website that was simple in order to allow John’s artwork to really pop off the screen. 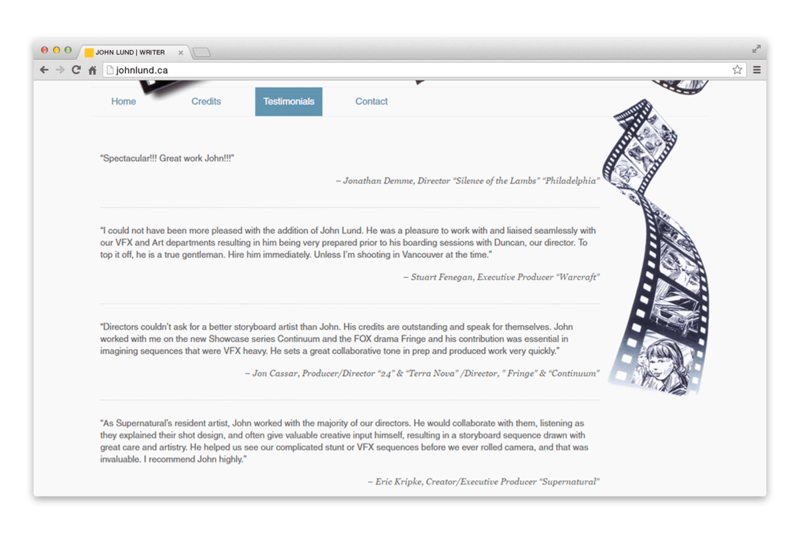 The website also highlights John’s impressive work with some of the best creative minds in the film industry.